Use 'X' Sandy Lane as your datum for both maps. Ignore the red rectangle it was alredy on the map. Great photos Algy = how do you do it? And don,t say "with great difficulty". Would that the be turkey jack's top right. Roughly where i remember it. Do you mean top right, just outside the red rectangle? Which means it's still there? Forgot to say, great photos Dizz, especially the Pesters. You're right though, it doesn't look like the brick farm building in the background. Harry, there two a pits right at the top of the wood on the bottom picture, on Google Earth one is referred to "The Mucky Hole", I shall endeavor to place the pictures on a reply. Harry this is a screenshot enlargment of what you say may be Turkey Jack's wood, Tracey is correct it appears to be in existence today slightly extended to the south with much younger trees. The two photos had been posted on Google Earth and are of the actual pits in the wood, were they there when you were a lad Harry?. 1. Un-named pit in the wood in winter. Ee, they were lakes when I was little. I've seen them somewhere but to place them properly would be conjecture - the one with ice struck an immediate chord. It may well be you have found Atlantis. Right or wrong, marvellous work. Algy. starting off from the pub one one side you have terrace houses the sort built by factory owners for its workers but maybe a bit larger, on the other side you have the two tiny cottages and a shop. Then you have the big white house that looks as if it is should be in a large garden and the smaller house next door to that. Then you have the garage, the church over the road that looks so much older then most houses around it. beyond that are large houses of different styles, that are so different then the estate houses in that part of orford. Ee.I had forgotten The Limes. Not absolutely sure, but I seem to remember that is what became DB Spares. 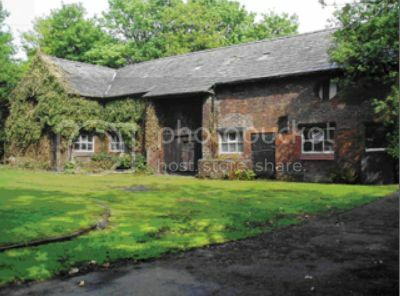 Dave, it was origanally built around the mid 1920's as St. Georges Boy's Home. then became .......? Hall Labour Club prior to becoming DG Spares, what it was between those two I have no idea!. It certainly was know locally as the “Limes” when I was a young lad and it could well have been a Labour club. My dad was a regular member there for many years and I remember attending several Christmas parties there. Definitely the Limes labour club. Well lad's that's settled and now after both Bill and Harry remember it as the 'Limes' Labour club that will do for me!. 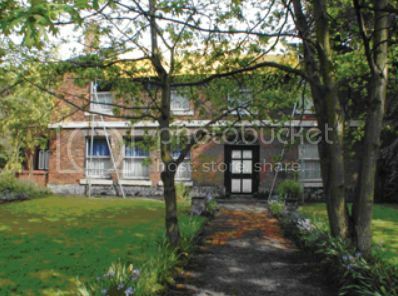 Did you know that John Blackburne bought the manor of Warrington in 1764 and it is probably he who planted the avenue of limes, which now form Orford Lane. Before it became the Labour Club, it was The Limes Hotel - I believe it was a 'commercial' hotel for travelling salesmen. The land behind this property (where now stand four semis in Birtles Road) was the garden and orchard of the Limes Residential Home for boys. To this day, there are still a couple of baking apple trees growing there. The old detached house next to the car repair workshop was the first Vicarage for St Margaret's Church - before the newer Vicarage was built near Vale Owen Road. The third more modern present Vicarage was built in the grounds of this one. The ground on which the car repair business is now, was the orchard of this Old Vicarage. 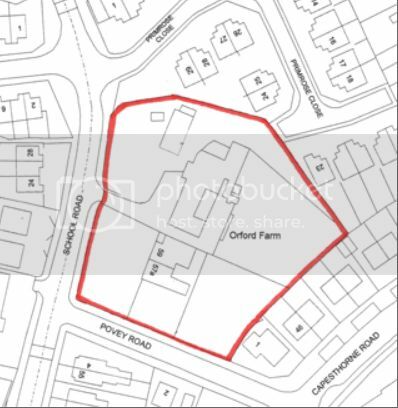 I think the properties that corner Orford Green and Hallfields Road have always been three separate dwellings. These houses were there before the Church was built. Before St Margaret's Church was consecrated just over 100 years ago, the Rector/Curate of Christ Church, Padgate rode on horseback over the fields from Padgate and the Services were held in the old school building that used to be at the corner of School Road and Long Lane. I've just seen on the 1911 Census that George Smith, Estate Agent, and his family were living at The Limes on Orford Green. So this must pre-date St George's Boys Home. A Mr Smith built the small estate of semis just before the WW2 and Smith Drive could have been named after him. I was taking to my dad last night and he said mum always used to talk about the farm as she and her elder brother both grew up near there too (in Marina Drive just near School Road and the farm) and they were always out and about playing. Mum (Anne) was born in 1939 and her brother John was born around 1935. I wonder if any of your paths ever crossed and I sincerely hope my mum never thumped any of you as she was always sticking up for her older, quieter, brother. I'm not sure how long they lived there for as they later moved to Algernon Street... which is where I was born many years later. I meant to post some pics of the grade II listed cottages, barn and farm the other day and forgot. Probably a bit late now but I'll post them anyway. Shame whoever bought it in 2007 (which I'm guessing is when these photos were taken) didn't do it all up as it could have been lovely. Outline showing the freehold land and buildings when they were up for auction. Big plot of land and just imagine how many new houses could be built on there if the 'unthinkable' happened. There appears to be a Planning Application in the pipe-line - Demolition of existing farmhouse and the building of a 3 strorey residential retirement home on the site. Is that a new application as the only one I can find is one submitted around July/Aug 13 for similar which was withdrawn before a decision in October. Saying that trying to search WBC's planning lists is a pain in the bum unless you know the actual planning reference ! '.... severe damage has occurred over time due to local vandalism and English Heritage has agreed to delist the farm house and demolished barn '. So just leave a building unprotected and open to vandalism and fires for long enough then you can just simply have it delisted.... leaving the way wide open for demolition and redevelopment of the site then ? Yes this is a typical and common tactic of developers, leave a building to decay then sing the song it is an eye sore , it has been vandalized to expensive to repair. Councils have the power and the ability to repair and safe guard these buildings but the councilors and employees are often in bed with the developers. Interesting, must have been a very small hotel! The house directly next door on Birtles Rd belong to the club. So the people who owned it and the land and who let the Grade II listed building fall into complete disrepair for years clearly to pave the way for their planning approval and demolition of the Grade II listed building aren't even bloody building the residential home themselves.... they are just selling it on with planning permission now the 'obstacle' has gone GRRRR !! Makes my blood boil ! !